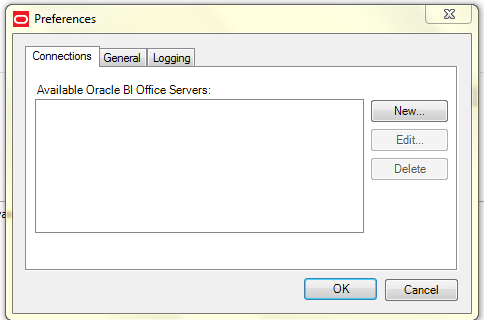 I was working on the Write back function in OBIEE and found it quite interesting. 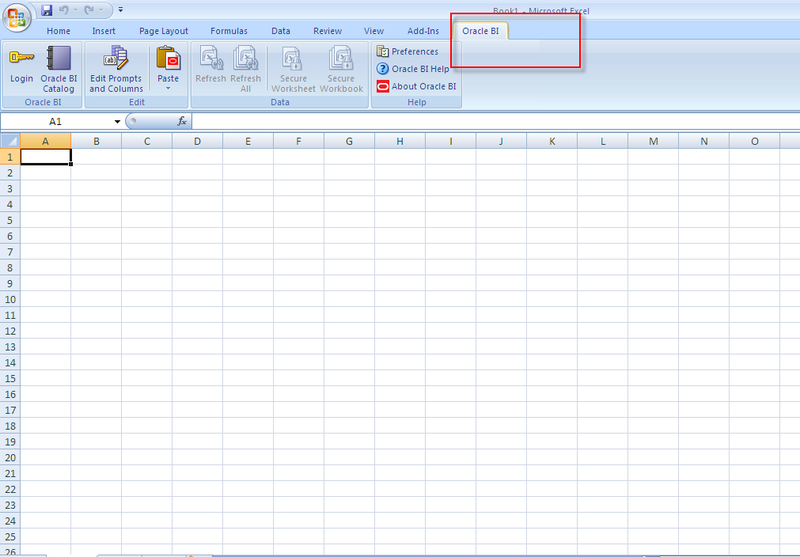 Imagine if we can enter in data in the report for certain columns and that becomes a part of the reports generated. Yes this is the basic example of Write Back. Data entered in the report will be added into the database. Basically we can follow two types of functions i,e INSERT and UPDATE. For doing so just follow the basic steps mentioned below. Our aim is to enter values for the column ‘EXPERIENCE’ from the report so that it gets reflected in the database. 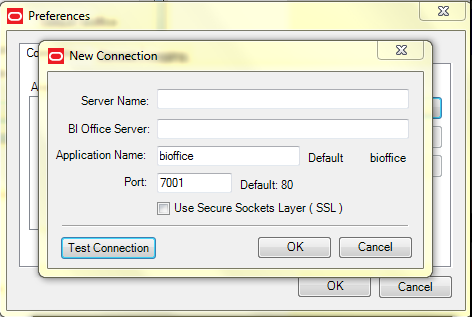 ( You see a Write Back tab in the Connection Pool but since our database is Oracle you dont have to do anthing in this). 11. 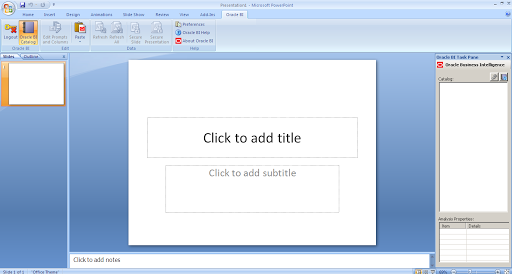 Once this is done make sure that the Presentation Services are started. 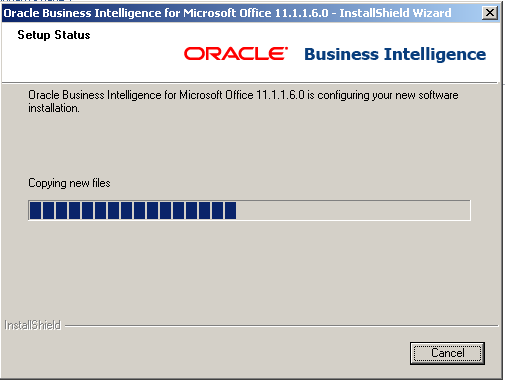 Then open the report you have saved and update a data you have entered and click update. 12. Go to the database to see if the change is reflected. 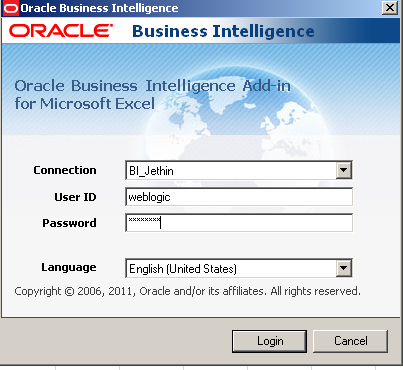 I was interested to experiment the understanding of MS Office Integration with OBIEE 11g. Please find the detailed steps below to do so. 1. 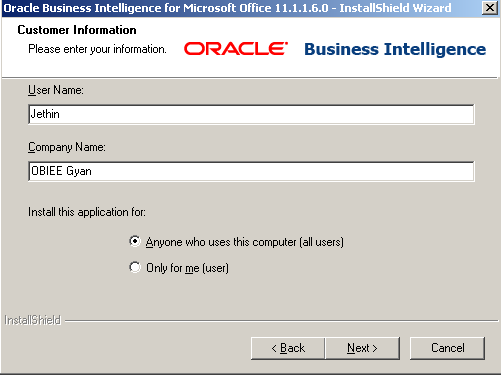 Go to the Home page and in the right corner you see Download BI Desktop Tools as shown below choose MS Office. exe file. 2. Then install the file. 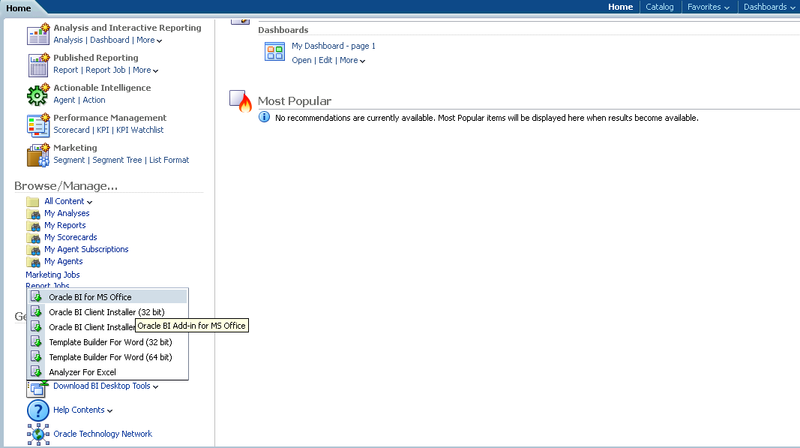 I have encountered an issue because I didnt have the .Net Framework2. 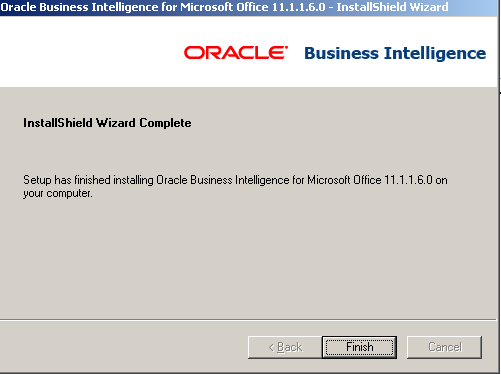 Please install it from the following link mentioned below. 3. Follow the screen shots mentioned below. 4. 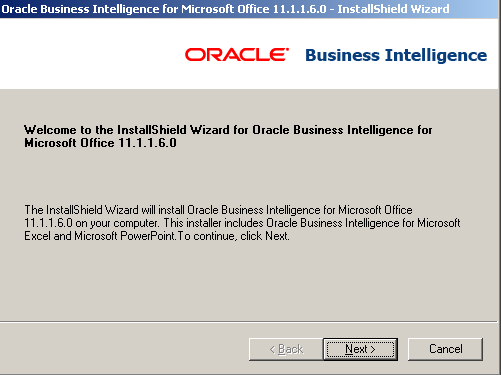 After the installation go to MS Office Excel or PowerPoint and when you open the application you will get a message as mentioned below. 6. 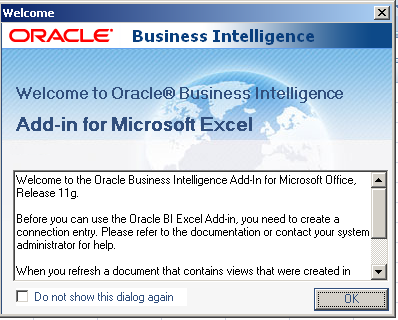 After this step you can see Oracle BI tab in your Excel or powerpoint and then click on that and press Login. 7. 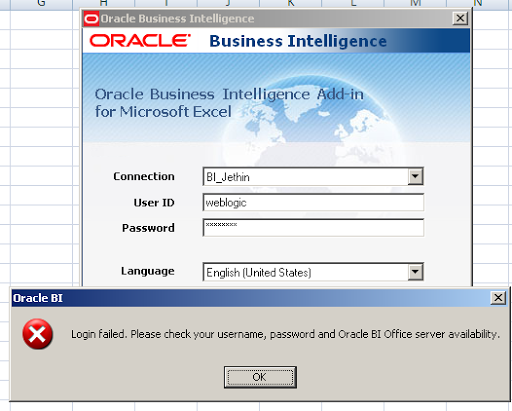 You will encounter an error which is stated below for that we have to bring a change in the XML. 8. Follow the below mentioned step to rectify this issue. 9. 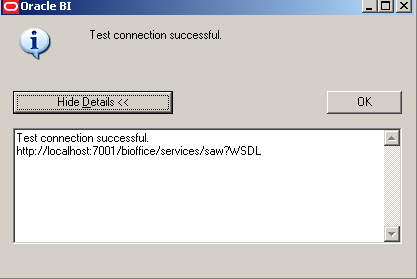 Restarted the services and after taht when you login again in Power point you will not face the issue and can use it. Cheers and have fun :)!! !